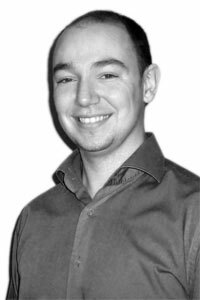 Nick Scott - Professional Piano Teacher in Edinburgh. Piano Lessons in Edinburgh. About Me. I was born and raised in Aberdeen, and have been playing the piano for over 20 years, with five years teaching experience. I have studied at the Guildhall School of Music and Drama (GSMD) in London, the Royal Conservatoire of Scotland (formerly known as the RSAMD) in Glasgow, and the North East of Scotland Music School (NESMS) in Aberdeen. I recently qualified with a Masters of Music (MMus) with distinction from the Guildhall School of Music and Drama (GSMD) in London. Previously, I completed a Postgraduate Diploma (PgDip), also with distinction, and a Bachelor of Music (BMus) with First Class Honours, both from the Royal Conservatoire of Scotland. I am a fully disclosed Protecting Vulnerable Groups (PVG) Scheme member, and a member of the Incorporated Society of Musicians (ISM). As a performer, I have enjoyed playing with orchestras and ensembles throughout the country.